Life is Strange: Episode 4 - Dark Room is easily one of the game's best episodes thus far, which is saying a lot. Not only does it successfully build upon the gut punch that was its predecessor's ending, but it also progresses the plot in very interesting ways, and concludes with a shock that will once again leave players breathless. When we last assumed the role of Ms. Max Caulfield, the young photography student was still gripping with her emotions after saving a friend from committing suicide. However, while that would be enough for one person to go through, Max wasn’t able to take it easy or seek help from a licensed professional. 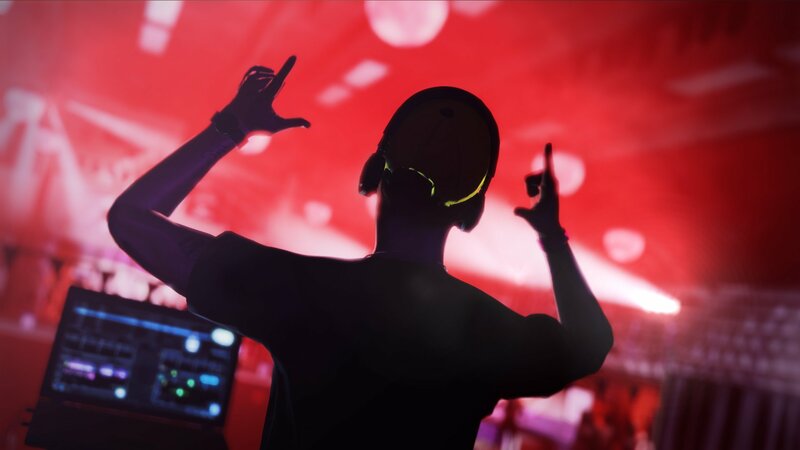 Instead, she and her friend Chloe Price forced themselves to continue the search for another unfortunate soul, that being missing Rachel Amber. After all, her disappearance is the backbone that holds the girls’ attention in DONTNOD’s Life is Strange, a game that has cemented itself as one of the best episodic experiences out there. Of course, Max’s struggles don’t start or end with her friend’s mental health or her worry about the missing Blackwell Academy student, as there’s something special about our young heroine. That is, her ability to rewind time; something that became stronger during the third episode of Life is Strange, as Ms. Caulfield discovered that her powers could send her years into the past by using a photograph as a catalyst. It was an interesting reveal, to say the least, and one that came into play alongside the idea that we could perhaps save Chloe’s late father from his unfortunate car crash. However, changing that major life event had excruciating repercussions, which led to Chloe being condemned to a ventilator and a power wheelchair after an accident of her own. 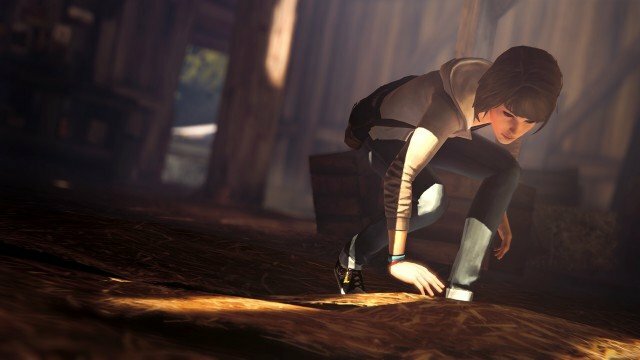 Chaos Theory’s ending — that of Chloe coming to the door in paralyzed form — is one of the more memorable shock endings this reviewer has ever experienced, and that’s likely true of a lot of Life is Strange fans. It was abrupt, unexpected and absolutely soul-sucking, delivering a gut punch that took days to recover from. The questions it raised also made the two month wait for Episode 4 even tougher than it already would’ve been, given the game’s impressive and immersive qualities. Thankfully, the time is now and Life is Strange: Episode 4 – Dark Room is finally available across its supported platforms. And, trust me when I say that it was well worth the wait. In fact, as far as its choices and notable events go, Dark Room could easily be considered as one of the series’ best episodes. 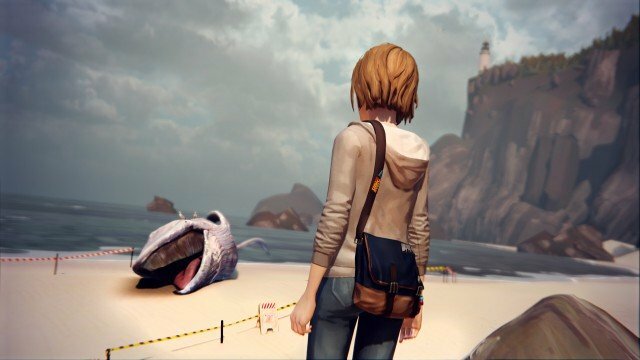 Things resume shortly after we left off, with Max and Chloe taking a stroll along Arcadia Bay’s troubled beach, where strange environmental occurrences have left numerous whales beached and rotting. Chloe is, of course, in her wheelchair and out of the house for what is likely the first time in a while. She laments how her other friends don’t come to visit her, and sighs about her life, but maintains a seemingly happy spirit around her old friend whom she has dearly missed. She doesn’t always stay that way, though, and her true feelings force Max into making her toughest decision yet. In dealing with a sensitive issue and a terrible side effect, Dark Room takes its time and opens slowly. Max, unable to reveal her secret to her ailing friend or her father — who’s now struggling with medical bills and facing foreclosure of his home — struggles internally with her choices and does something about them, sending the plot back in the direction of Rachel Amber’s mysterious disappearance. As such, the rest of this surprisingly lengthy episode deals with its game’s most pressing mystery. And, in doing so, it puts Max and company into more dark and dangerous situations that will force the player to think and act intelligently. To say that a lot happens during this, Life is Strange‘s lengthiest and most headstrong episode thus far, would be an understatement. There’s more teenage drama, yes, but major puzzle pieces really start to come into focus and another shock ending also comes into play prior to the credits’ run. You’ll find yourself aghast, confused and conflicted, and will once again wish for the ability to fast-forward time until the next episode is released. That said, for all of its progress and impressive qualities, Dark Room is not perfect. Its length is a surprise, but also a hindrance, because pacing issues do appear during slow and plodding moments. This includes a slow investigation scene where the player is given tons of clues and tasked with putting them together within the safe confines of a bedroom. I get the need for it story-wise, but wish that DONTNOD could’ve made the process more interesting than it ended up being. Continuing on, one of my favourite things about Life is Strange has always been its way of making collectibles feel organic, and that’s something which continues here. Max is, after all, a photography student, so allowing her to find and snap unique pictures of the environment around her is a genius way of not only elongating each episode but also forcing the player to pay attention. This episode’s allotment are tougher to find, though, so prepare to do some more in-depth sleuthing. In the end, although it’s a bit too slow for its own good, Life is Strange: Episode 4 – Dark Room is a force to be reckoned with. Not only is it a very good and ultimately memorable arc in its own right, but it also sets up an exciting finale for an already great game. Don’t sleep on it, my friends.